For collection and separation of organic material and sand. The CORE RECYCLER is a self-contained walking machine for collecting and processing cores. 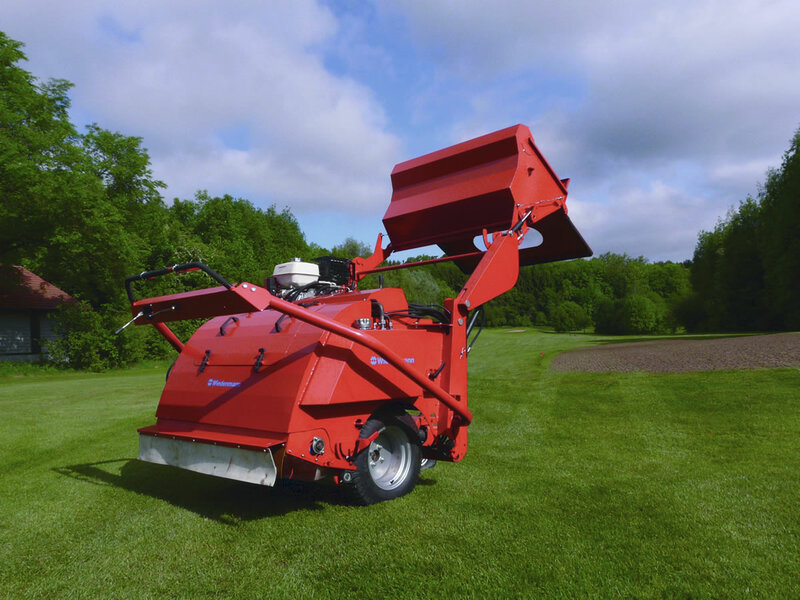 The sweeping head gently collects the cores and transfers them into 4 rotating screens, which separate the sand from the organic material (thatch). The sand is then returned to the surface and the thatch is collected into the high dump hopper. The hopper can then be dumped directly into the bed of a utility vehicle. This process saves money by re-using indigenous topdressing material and eliminates the need to run a heavy topdresser over a freshly aerated green. An optional trailer for transporting the CORE RECYCLER with a utility vehicle is available. The trailer hydraulically tilts down for fast loading and unloading. If you are interested in our CORE RECYCLER use the quick enquiry form below.